Thanks for all the great feedback, so far. We are privileged this week to be chatting to Pip Boss from the Auskick group. Have fun learning about another one of our great volunteers. What is your connection and role at the club? 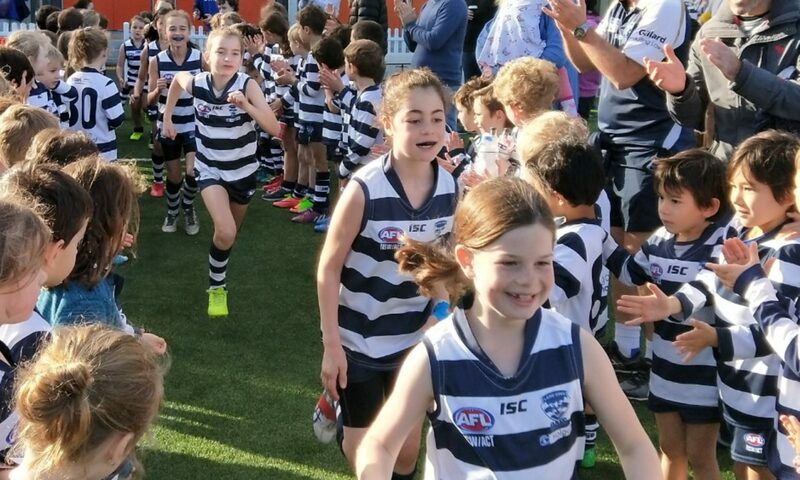 I am connected to the Lane Cove Cats through my daughter playing AFL and assist the kids to have FUN whilst participating and enjoying the atmosphere that is created from the grassroots of our local club and community playing fields. This role is called a coordinator. The organisation of the club is outstanding it doesn’t actually feel like you are volunteering. I have fun with the local community kids it’s great. Every weekend is a memorable moment watching the kids learn and advance their skills as there smiles grow even bigger on their faces as they realise they are self-mastering their skills in the game. These memorable moments extend far beyond the game to give the kids numerous multidimensional benefits and lifelong skills which they can transfer to a variety of aspects of their lives. PDHPE and PASS backed up with food technology to fuel and reenergise my body was always a fantastic day. Advice for anyone thinking about getting more involved with the club? Many thanks to the club coordinators that make volunteering easy, thank you for building such a solid foundation for the local club. I have not seen such a well-run club for any sport in many years. The club makes volunteering easy and the session plans are faultless, easy to understand and written in plain language so you can’t go wrong…it’s KISC (Keep It Simple Cats). The next instalment in profiling some of our wonderful volunteers at the club. If you have a suggestion please forward these onto news@lanecovecats.com. My daughter Isabel started at Auskick about 4 years ago and my son Eaden in his second season. At the end of the first Auskick session last year Peter Beck announced a Girls Under 10 team and asked if there were any girls from Auskick who wanted to try playing in the Under 10s Girls team. Standing at the back of the crowd enjoying a not so well earned sausage sandwich I saw my daughters hand shoot up. I knew at that moment my lazy Sundays had come to an end. Isabel has now moved on from Auskick into the Under 10 girls team and my son looks forward to Auskick every Sunday. From Left to Right it is Isabel, Amanda, Ivan and Eaden. I helped with Auskick informally last year and this year offered to help Peter as an Auskick Coordinator. This allows me to see my son run around and help at the same time. This year I offered to assist Daniel coach the Under 10 Girls team where my daughter Isabel plays. Daniel did such a good job coaching the girls team last year, I watched him stand in the rain, turn up to training and really encourage a great little team of under 10 girls enjoy the game and the team environment. I am not generally involved in many charitable causes but I thought if there is one that I could get involved in it would be kids football. A sense of adding something to the community in an area that I am interested in and feel I have something to offer. Eating hot steamed dim sims with a bucket load of soy sauce watching the under 10 Girls play in the rain last year. It reminded me of a winter day playing football in the Yarra Valley in Victoria as a kid. That day last year I remember watching from the warmth of my car tucking into a hot dim sim as Daniel stood in the wind and rain coaching my daughters team. It was then that I thought I would help this year in some capacity. Every March I make a yearly batch of Italian Passata sauce for the coming winter, I cure my home grown olives, I make my own salami and brew my own craft beer. I consume all that on pizzas I make in my home wood fired pizza oven. I always liked science and geography. I am qualified in Environmental Science and Geology but I work in Technology. With use and development of tap and go payments systems, the amount of people carrying cash has dropped sharply in recent years. This has lead us to acquire a credit card read last to accommodate these people. However, we have also found it increasingly difficult to manage the cash on game days. Money can be easily misplaced, particularly as we don’t have a permanent canteen. We feel its the opportune time to remove use of cash on game days at Blackman Park. Therefore, in 2019 we will be running a cashless BBQ/Canteen. So please make sure you bring your credit/debit card to games on Sunday. To make the transition a little easier, we will take cash if you have no other means of payment. However, its unlikely we will be able to give correct change. To kick off the season we would like to invite the Lane Cove Cats Community to support Clean-up Australia Day on Sunday the 3rd of March, at Blackman Park (Lloyd Rees Dr, Lane Cove West, NSW 2066). We are blessed to have one of the most beautiful home grounds in the Sydney AFL competition, so what better way to kick off the season than with a clean-up of the surrounding parklands. We would like to invite you to sign up to be a volunteer at our site and come down anytime between 8am and 12pm. We will put on a free BBQ toward the end of the clean-up session. What to bring along? We recommend you bring along a good pair of gardening gloves, hat, a bottle water, sunscreen, and sturdy footwear (no thongs or open toe footwear). Anyone of any age can participate, as long as they are registered (you can also register on the day). Thank you for your support! I hope to see you at Blackman Park on the 3rd of March. The Lane Cove Cats have been nominated for Macquarie Sports Radio’s Little Legends. The 5 Sports Clubs in Sydney, Melbourne, Brisbane and Perth who get the most votes will win $2,000 each for their club. So please head to Macquarie Sports Radio’s website and vote for us now! Voting closes, Sunday March 1. The winning clubs will be announced on the Drive program with Mark Allen and David Schwarz! With Play For Purpose, you can play with confidence knowing that a minimum of 50% of your ticket contribution will directly support sporting projects at our club, with funds granted by the Australian Sports Foundation. The remaining portion of ticket sales is used to fund the prizes in the raffle, fund bonus payments to other charitable sporting projects, and to recoup some of the costs involved with running the raffle. Play For Purpose is 100% not-for-profit, and is endorsed by Sport Australia. The funds we raise through Play For Purpose will be used for charitable sporting projects, helping improve the health and well-being of the Australian community including through increased participation in sport. You can read more about what your contribution means to Lane Cove Cats on our homepage. The Raffle is conducted on our behalf by the 50-50 Foundation, an ACNC registered Charity. There are thousands of prizes on offer in every draw, ranging from Gold Bullion, Cars, Holidays Packages plus many more! With a 1 in 34 chance of winning a prize while supporting our club, giving has never been so rewarding! The Lane Cove Cats has partnered with premium wine club – Direct Cellars to bring you the Lane Cove Cats Wine Club. The club is all about experiencing different wines from around the world each month, through a tasting pack, which comes with comprehensive tasting notes. If you like a particular wine, then you can go online and order some more – simple! As a club, a portion of all sales is redirected back to the Lane Cove Cats, so by becoming a member, you not only get a great selection of wine every month, but you continue to support your local AFL club. Click on Join and then choose the option that suits you best. If you have questions or want to know more about becoming a Brand Partner, feel free to email Matt Cunneen at matthew.cunneen@gmail.com or call on 0404 085 427. 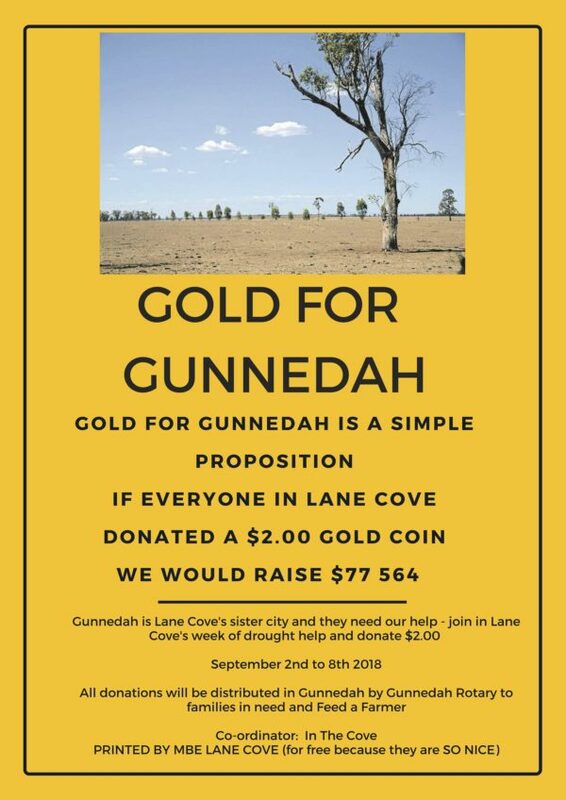 At our presentation day, we will be collecting money for Gold for Gunnedah, with proceeds going to support farmers around Lane Cove’s sister city is Gunnedah. SCA are hosting AFL camps these school holidays in Lane Cove. The AFL camp is for kids between the ages of 6-15 years and run from 9:00am – 3:00pm daily. It is a great way for kids to stay active during the school holidays!